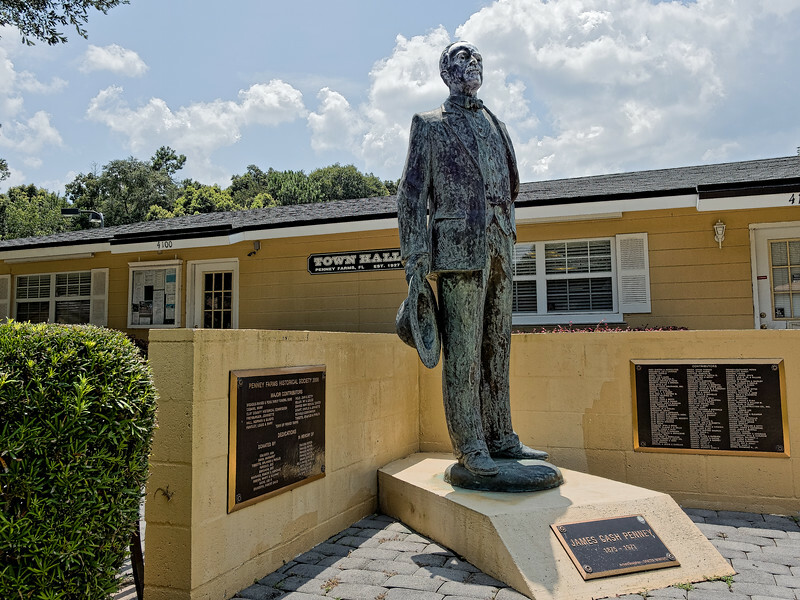 James Cash Penney Statue, at Penney Farms, Florida, Town Hall. In 1926, department store pioneer J. C. Penney founded the community of Penney Farms. He planned to develop an experimental farming village. The state of Florida incorporated the town in 1927. The real estate decline and stock market crash, however, caused Penney to scale back his ambitions to a community for retired ministers in honor of his minister father. Today, the Penney Retirement Community is a 192-acre home to Christian laypeople as well as clergy and missionaries.